Monterey, CA – May 25, 2016 – Esser Wines is proud to announce that our sustainably farmed Esser Pinot Noir has been selected to be a featured wine at the Conrad Manila. Scheduled to open in June 2016, Conrad Manila will be the iconic luxury hotel along the Manila Bay. 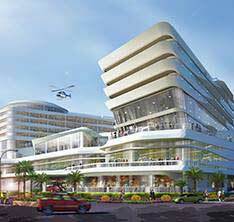 With its distinctive architecture inspired by the big vessels that ply the bay, the hotel floats atop a high-end retail podium, like a mega yacht, making strong visual and experiential connections to the immediate waters of the bay in front, and the skyline of Makati Central Business District behind. Conrad Manila will have 347 guest rooms, with a high proportion of suites to anticipate and meet the expectations of the growing number of seasoned business and leisure travelers. The hotel will have also have two ballrooms, meeting rooms, lobby and an executive lounge, restaurants, an infinity swimming pool, and complete gym and spa facilities. Aligned with Conrad's art inspirations, the hotel will feature contemporary artworks from Filipino visual artists. Random accents in the guestrooms draw on the rich Spanish colonial heritage of nearby Intramuros and Manila. Copyright© 2014-2018 Appellation Ventures, LLC. and Esser Vineyards.